If you follow me on Facebook or Twitter you know that I’ve been raving about a new cookbook…a new VEGAN cookbook. Calm down I haven’t turned vegan on you! I just really, really love this cookbook! The flavors in the book are delicious, the ingredients are wholesome, and my body feels good when I’m eating these vegan treats! I actually made these for the first day of school this year. I know that was several weeks ago but since it’s still peach season I wanted to share. The teachers at school gobbled them up and not one of them knew that these were vegan. I really liked how many peaches went into the cupcakes as it gave them a deep peach flavor. There was also a lot of flavor from the cinnamon, nutmeg, and cardomom. Now cardamom is not a spice that I normally keep on hand but I’ve been seeing it in more and more ingredients so I bought some on a whim the last time I was in Pittsburgh. I’m glad I did. 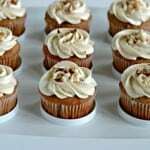 While these cupcakes are delicious on their own, the author suggests pairing them with the maple frosting from the Banana Bread French Toast Cupcake recipe. I tried that and while it was really good, I had a better idea. 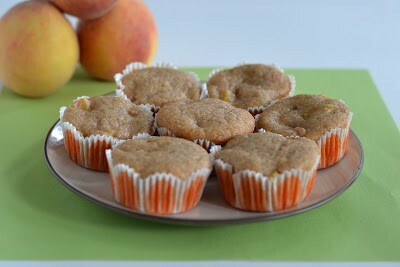 I used the same frosting base but added in cinnamon and cardamom for a spiced frosting that tasted amazing with the peach cupcakes. Because of the spices in these cupcakes they are the perfect holiday treat! 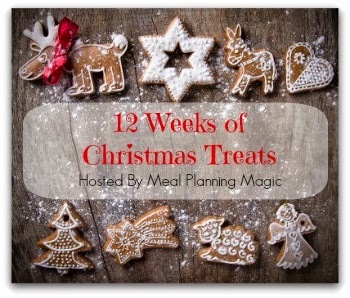 I’m sharing them this week for the 12 Weeks of Christmas Treats hosted by Meal Planning Magic. The bonus with these are that if you have any vegan or vegetarian friends they can enjoy them as well! 1. Preheat the oven to 350 degrees. 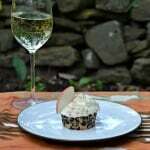 Line a muffin tin with cupcake liners. 2. In a large bowl combine the flours, sugar, cornstarch, baking powder, cinnamon, nutmeg, salt, and cardamom. Mix to combine. 3. Stir in the almond milk, canola oil, vanilla, and vinegar. Mix until well combined. 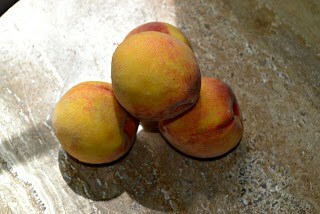 Allow the batter to rest for 5 minutes then gently fold in the peaches. 4. 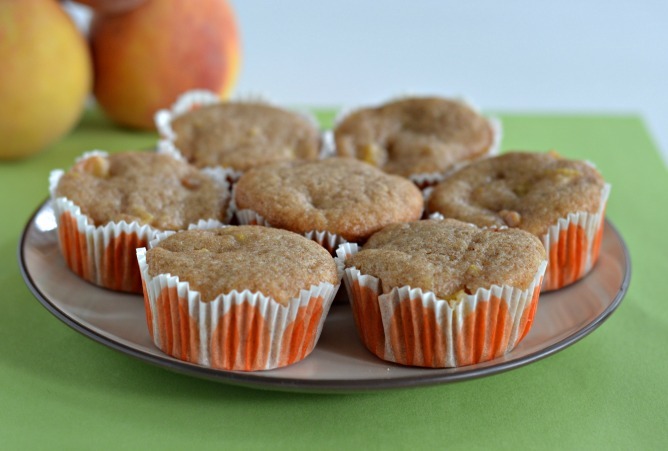 Fill each muffin cup 2/3 of the way full and bake for 22-25 minutes. Remove from oven and allow to cool for 5 minutes in the pan before transferring to a wire rack to cool completely. 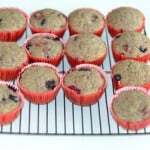 the recipes sounds very yummy –I have never baked vegan, but have had a few vegan treats from bakery I’m about 50/50 with the taste…maybe I should give these a try. I don’t really dig peaches, but this looks like a great recipe I could make for my girls! 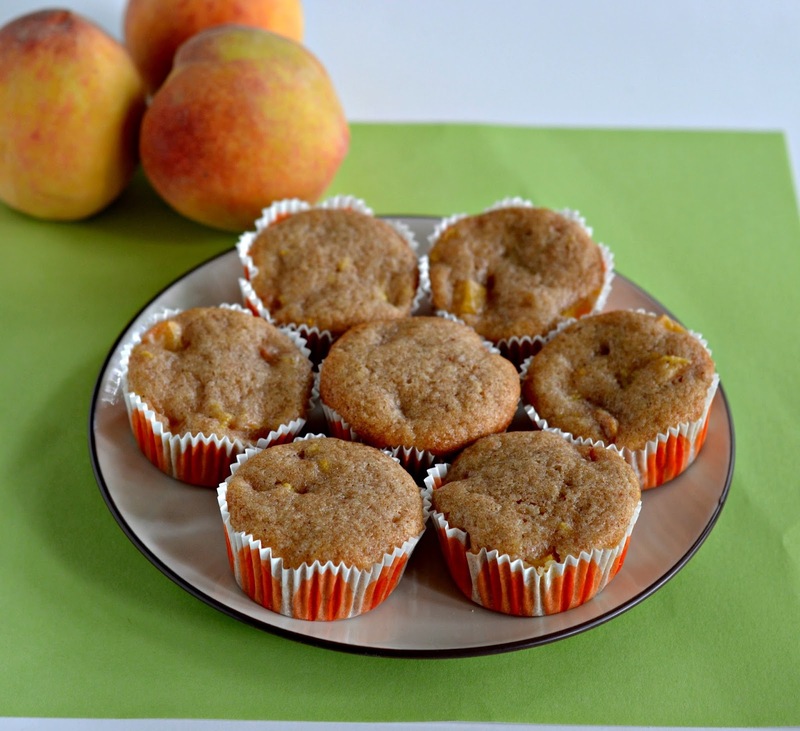 peach cobbler cupcakes?! No way! Wow! I gotta try this. 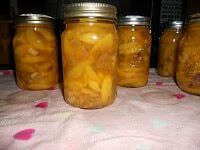 I LOVE peach cobbler!